The eSports world has been getting huge for a while now, so it is no wonder that the top players in the world are getting paid a whole lot of cash. Some of the players and spectators don’t even realize how much money is involved in the industry and never get to realize how much money is made by the players. Let me tell you something, the top ten players in the world get paid pretty crazy amounts, every year. So who are these top ten players, where do they come from, what games do they play and how much money do they make? Well, the answer to those questions is right below. Just consider how much amount of work these people have put into getting where they are at. If you are an aspiring professional player, you might want to get inspired by these people, so that eventually you too can be at the same level. Everybody has heard of this guy. Well, at least everybody who has ever wanted to learn more about the Dota 2 gaming world. KurokY is a professional gamer who has been in the game for a long while. Just like all of us, he started out with Dota. He has been participating in competitions for many years. The German player has been able to gather up four million US dollars in his years of playing, all in prize money. That is a staggering amount of money and is the most money anybody has made by playing eSports to date. Currently, he is part of Team Liquid and is enjoying his amazingly successful run. The names on this list are of course no surprise to anyone. N0tail is an amazing player who has been part of the eSports scene for a very long time. Since his promising upstart days, this start player has moved onto becoming the second highest paid player in all of the industry, and all of this with prize money. Though on his road to success there were a lot of bumps and obstacles. At some point, he was part of the team that was coming in as one of the last in the Dota 2 championships. But, after so many years of trying, it looks like N0tail has found a worthy team that he was able to win the 2018 Dota Championship with. Once upon a time Miracle- was a pubstar, nothing but a player who achieved incredible feats without ever competing professionally. Dota was his game of choice, just like everyone on this list and he stuck with it so long and so well that he has achieved amazing success. He has been able to become the third highest paid player, in terms of prize money, over the years of his play. While today he might be taking a break from Dota 2, this player has become a legend over the years of the gaming. Let’s wish him luck as his journey continues. MinD_ContRol has had a very interesting career over the years, with a significant number of bumps on his road as well. He has been part of winning teams and captain of some amazing rosters for a long time. Over the years he has managed to win a huge number of championships and, conversely, has managed to gather up enough money to be considered one of the top paid players in the world. This Bulgarian player has faced many issues with his career over the years, with one or two controversies always being not too far off from his games. Yet, he continues to be one of the top players and one of the top earners. Matumbaman has been in the eSports gaming spotlight ever since 2014 when he won the Assembly Summer 2014. 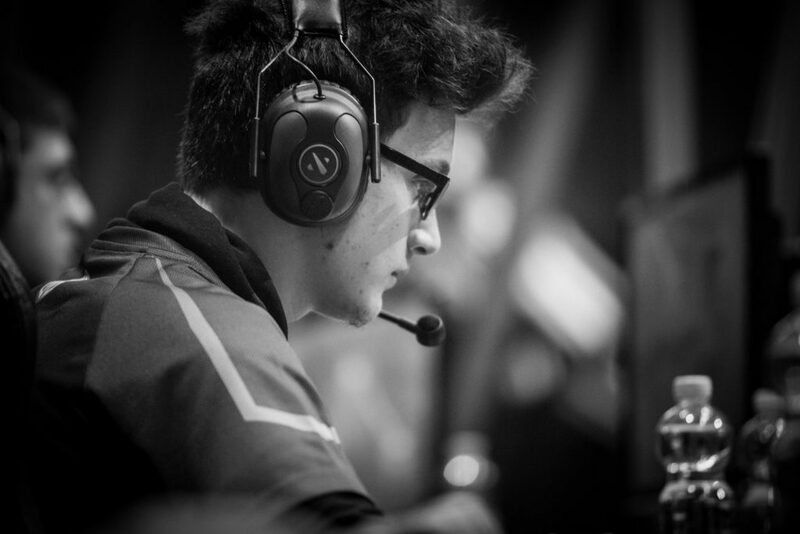 Ever since then the player has been steadily making a name for himself in the international eSports community. While his career has not been as long as some of the other eSports player’s, he has already managed to gather up enough winnings to become the fifth highest paid player in the world. Now, as part of team liquid, he is on his way to becoming even better in the future. You may have noticed that all of these players are Dota 2 pros. This could either be because Dota 2 is the most popular MOBA game in the world or because of the 2017 tournament, which had the highest winning pool of all time. Whatever it is, you might want to start learning from these guys to see how you could become a better player, and one of the highest earning competitors, in the future. Konstantine is a Georgian born fan of video gaming, who has spent the past few years learning about the eSports industry purely through being a fan and an aspiring participant. He spends his time playing MOBA games and first-person shooters, except when he is not keeping track of championships and news in the eSports sphere.